However, the people in Diavata had nothing to repair. Their tents with all their belongings inside burned down completely. Moving Europe visited Diavata today and spoke with several people from the camp, while the army was setting up the exact same white UNHCR-tents on the spot. The fire apparently started from a fire lit in order to cook. 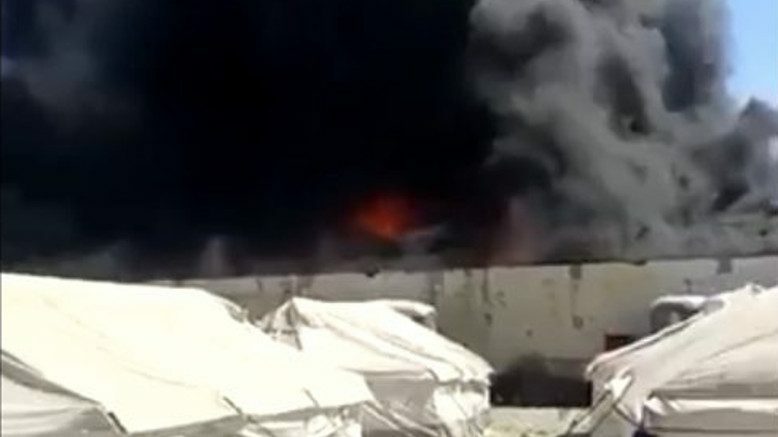 Due to the strong wind and the fact that the UNHCR-tents are set up very near to each other without sufficient space between them, the fire consumed dozens of tents in just a few minutes. Today, only burnt metal sticks and other burnt belongings such as a totally burnt wheelchair were visible. It was sheer luck that nobody got severely injured yesterday. But many people lost everything: clothes, smartphones with their contacts, passports and all their money. The fire took everything they had. It is hard to understand, why thousands of people on the move are put into this insufficient shelter in Europe.